From Right to Left. Ulta- Eye Popping Poppy; Essie- Orange, It's Obvious ; Essie- Sunday Funday ; Essie- Big Spender; Ulta - Maine Attraction ; Ulta- High Roller. 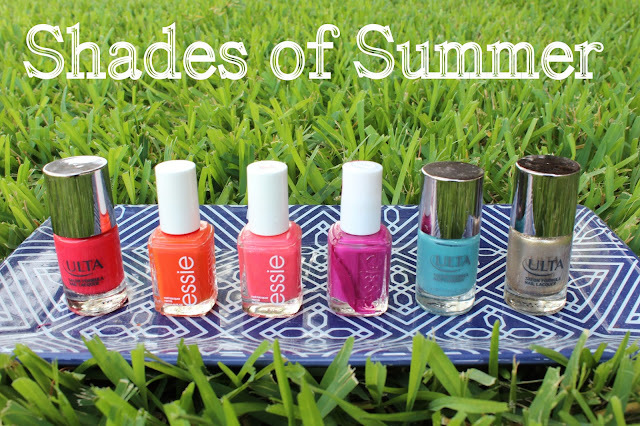 What are your favorite summer shades? Susan,thanks for stopping by, and for the tip on Julep! I might have to add a few more to my collection! Amanda, I was just telling my husband how I was ready for fall colors! Gray will for sure be on my radar! Have a great day!